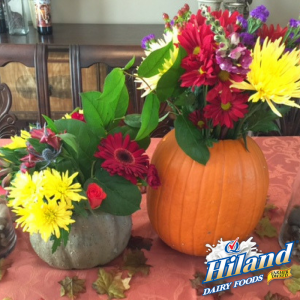 I love the idea of recycling my Halloween pumpkins by transforming them into these wonderful flower vases for my Thanksgiving table. There’s no need limit pumpkins to pies and soups this fall. Grab your carving knives, Divas, it’s time to dig in! 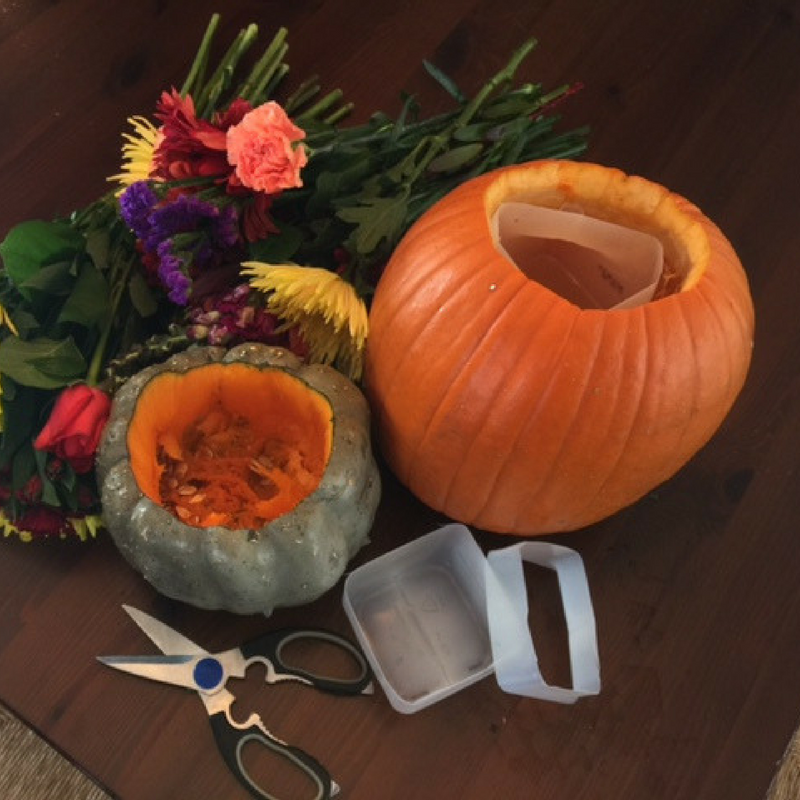 Carve the tops off of each pumpkin. Tip: Be sure to cut a big enough whole at the top to fit the milk jugs. 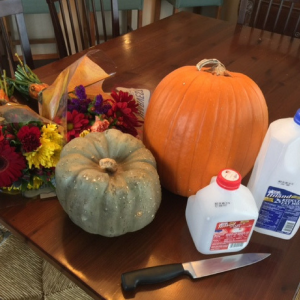 Cut each jug about half way down, short enough so you don’t see them sitting inside the pumpkins. Place the cut milk jugs inside of each pumpkin. Fill cut jugs with water. Arrange flowers in each pumpkin vase (yes, it’s that simple!). You can paint your pumpkins to match your home’s décor.